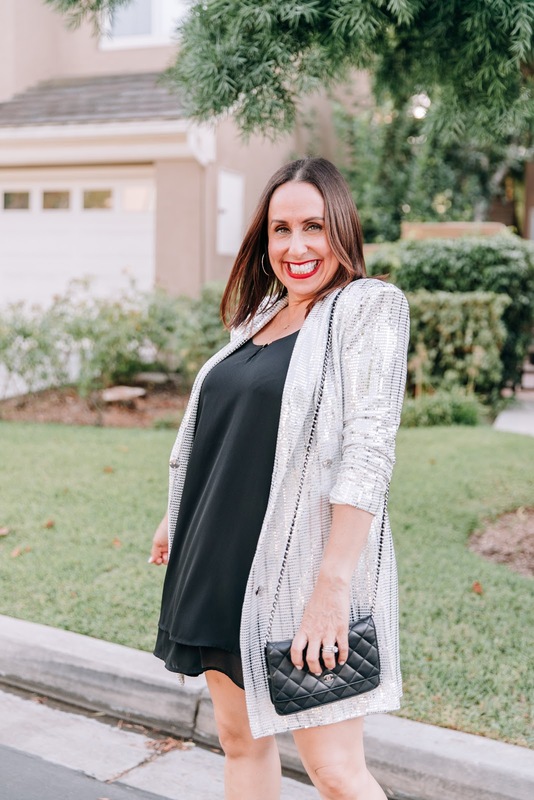 Every fashion girl loves sequins right? 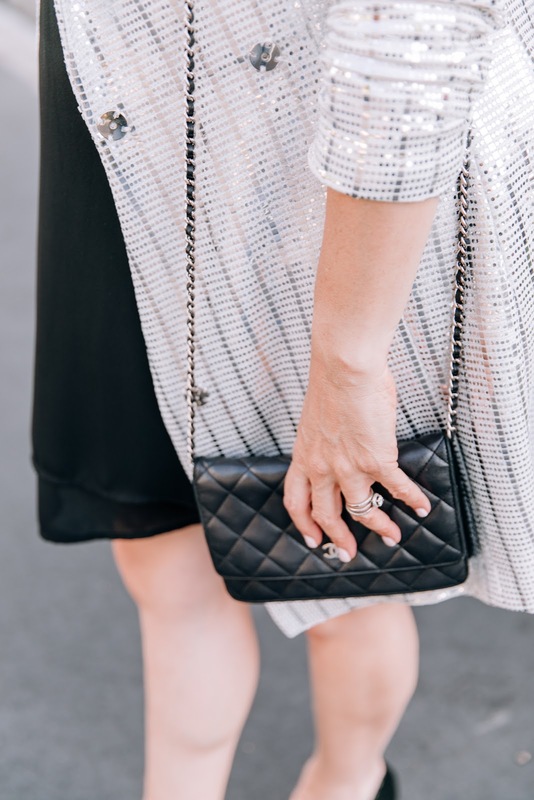 I can wear sequins all day and all night. I picked up this cute blazer at Zara. I love the length and the cute shoulder pads. 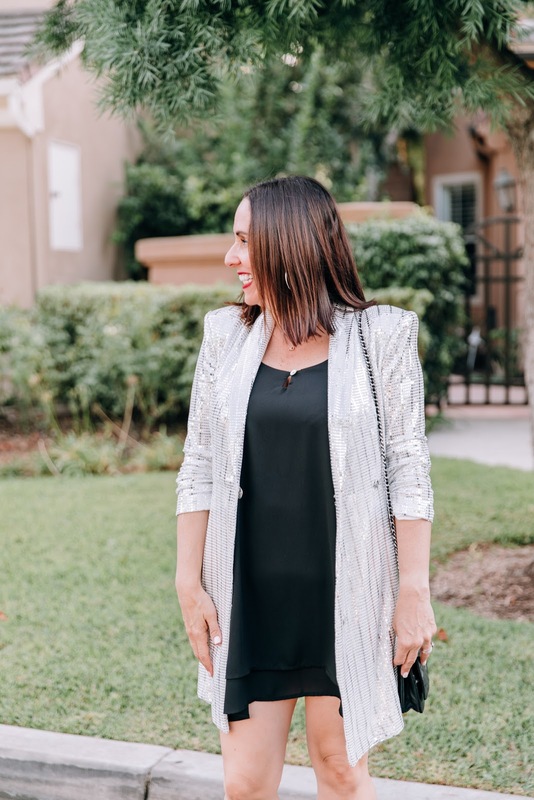 I paired this sparkly blazer with a little black slip dress and some great heels. This is the perfect New Years Eve outfit (which will be here before you know it). You can also style a cute sequin blazer with skinny jeans or leather leggings too!! It really is a versatile piece that you sooooooo need in your winter wardrobe. Thanks to Kara Nixon for photos. You can shop this look by clicking on the links above. Happy Reading!!! !